If you just need a couple of extra hands, we offer labor only moving services the low rate of $55/per man, per hour! While there are many people whose search for a home mover land them here – there are the rest of you considering the possibility of renting a U-haul truck or other type of rental truck or maybe even need help loading an overseas container or pod and just desire a few extra hands. 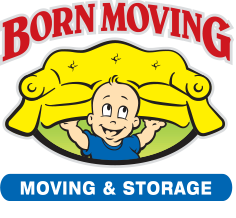 Born Moving is here to help! We offer affordable & professional packing, as well as “labor only” loading or unloading. 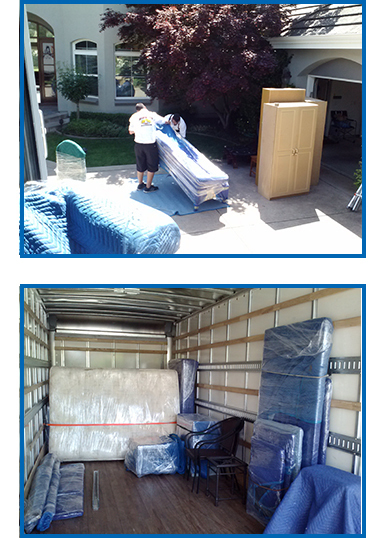 Born Moving specializes in and working around U-haul trucks, other rental trucks, overseas containers and storage pods. When moving your home, apartment or office goods we take special care in the major difference between loading a U-haul truck, shipping containers or pod for a long distance office or home move – just as we take specialized care for a local office move or home move where we provide the truck or storage container. Your move, and your items are important to us either way! There are specialized tactics when loading a U-haul truck, other rental truck, storage container or pod for a local office move or local home move between close cities. Giving that there is less travel between your move locations there is no problem with “load shifting” which occurs with long distance relocation and can result in damaged goods. Your office furniture or household furniture can be packed somewhat loosely, sparing a considerable amount of Tetris play when packing, saving you time and saving your money! Also local office moves and local home moves do not require crating and boxing of every item, but simply blanket wrapping for the protection of furniture & appliances. This ensures items don’t rub & scratch; leaving you with new, but unwanted designs on your home or office furniture! Adversely, when loading for a long distance office or home move it is very important to load your boxes and other items as tightly as possible. A lot of movement can happen inside a U-haul or shipping container that is traveling long distance. The tighter your load is packed the less possibility of movement which means less possibility of damage. We also keep in mind when loading long distance trucks or shipping containers that the customer is sometimes charged by the amount of space used. That said we try to save you money there too by using our Tetris master skills resulting in less space used and a load that is unable to shift , thus incurring damages. Our labor only rates for loading or unloading U-haul trucks, other rental trucks, shipping containers & pods are very affordable! Spare yourself the headache and back breaking work in this summer’s sun! Leave the moving to Born Moving, your local professional movers, we’ll get the job done right. In a rush? We can contact you at a more convenient time.